The house that is now The Lamp Post Inn Bed & Breakfast was build circa 1874 and we’ve been pampering our guests since the 1980s. We have many repeat customers including a family that has been staying with us every September for 20 years. We are host to customers attending shows at The Fireside Dinner Theatre and many of the local events in the Fort Atkinson area. If you’re planning a stay with us for the first time, we’re sure it will be memorable. Please give us a call at (920) 563-6561 for reservations. 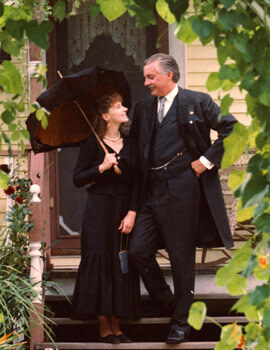 We look forward to having you as our guests in our magnificent Bed & Breakfast. Link to The Open Door trailer. The Lamp Post Inn has beautiful flowers surrounding the bed & breakfast from spring through fall. Deb & Mike entered some of the flowers in the county fair and received 2 Best of Show awards out of 4 given. Deb loves to bake and entered a pie making contest. She won 2 of the 4 prizes given in a field of 50 pies. The Lamp Post Inn was written up in the October/November issue the Our Wisconsin Magazine and received the number 2 spot in the lodging category, the only B&B ever to be chosen. 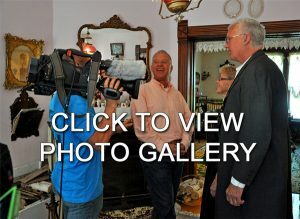 Around the Corner with John McGivern visited the The Lamp Post Inn in the Spring of 2015. John interviewed Debbie and Mike and took lots of photos. View both articles/photo spreads printed in the Daily Jefferson County Union covering John’s visit to The Lamp Post Inn and Fort Atkinson. June 3, 2015 – This one is mainly a photo spread with Debbie and Mike on the front page. June 12, 2015 – This is the main article about John’s visit with photos from around Fort Atkinson. The episode of Around the Corner with John McGivern will air on MPTV Public Television channel 10 on Thursday January 21 and channel 36 on Sunday January 23. 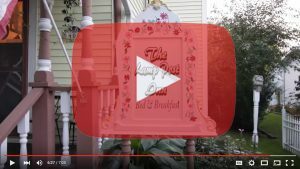 Check out this YouTube video by John Jorgenson of John’s visit to The Lamp Post Inn (fast forward to 6:23). And John Jorgenson wrote this post titled The Heroes of Fort Atkinson where he recommends a stay at The Lamp Post Inn. 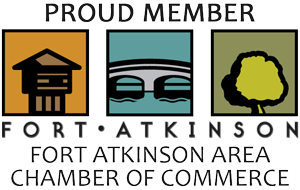 The Lamp Post Inn is also a proud member of the Fort Atkinson Area Chamber of Commerce. Important Notice: If you receive an email from the Lamp Post Inn Bed & Breakfast saying that a parcel postage package is being delivered, please disregard because it’s not coming from us.